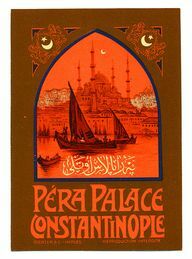 Memories of the Orient Express, Part 3: Why did Constantinople get the works? Where last we left things (in my 1994-5 run-through of Horror on the Orient Express), my players had arrived in Constantinople, having recovered the whole of the Sedefkar Simulacrum from the Fenalik and the Brotherhood of the Skin. I really disliked the whole Mehmet-as-Hakim (that was his name, yes?) plot. There was a lot of mustache twirling going on during the campaign, wasn’t there? Were I to do it again, I’d definitely cut that bit out. While the cistern scene was interesting, most of the set-pieces, like the graveyard sequence and Beylab the Perspirer were far too scripted for my taste. The ideas were good but the execution frustrated my players since they quickly sniffed out the fact that the campaign was leading them around by their collective noses. Beylab in particular was so clearly a trap, down to the gigantic speech I had to read, that some of my players interrupted him to make a break for the door. Hopefully that fight will be more Eastern Promises than Blue Brothers in the second edition. The mandatory capture and escape sequence from the Red Mosque again proved a frustration to my players. They had little to do but wait through a series of scripted scenes and gloating monologues. Let me just add that very few of my players were surprised that Dr. Smith wasn’t quite himself. The climactic conflict went a little better and seeing the Simulacrum in action was thrilling. I’m still working on a draft of my next installment of “Memories of the Orient Express”, but in the mean time I thought I might suggest two other blogs to check out whilst I’m otherwise engaged. Top of my list is Adam Gauntlett’s Ephemera. Adam’s written for Call of Cthulhu (“Spare the Rod” and “See No Evil“) as well as for Trail of Cthulhu (“Not So Quiet“, “Flying Coffins“) but he is perhaps best known for his book reviews that appeared on the late lamented Yog Radio, “The Bookshelf“. He’s well-read and offers a lot of great ideas, especially for for Trail of Cthulhu and Bookhounds of London. I’ve talked about Dean Englehart’s Cthulhu Reborn (and especially his interview series “State of the Tentacle” interviews). He is also put together loads of great free scenarios and an awesome program to create your own newspaper handouts. His most recent post described his process in crafting newspaper articles and is a must read for those looking to make their own. First off, Golden Goblin Press have announced a Kickstarter for their first book Island of Ignorance. Three scenarios and a whole bunch of articles are planned for the book. I have also volunteered to be one of the six potential authors for a bonus scenario for the book (though I suspect one of the other six authors, including Stuart Boon and Jeffrey Moeller, will win). The PDF only option is but $12 – you get a book at $30 (and a Golden Goblin Statue at $500). Chaosium have just announced the release of The House of R’lyeh, with scenarios from Brian Sammons, David Conyers, and friend of Tomes in Progress Brian Courtemanche. That will teach me to post something. There’s been a post on YSDC that someone been selling an art book using images stolen from Yog-Blogsoth, whose site I’ve mentioned previously. There are few things worse that having someone steal your work, save perhaps having someone profit from your stolen work. See here for more details. There have been a few new podcast episodes so I’m sure I’ve missed a few… nevertheless the Miskatonic University Podcast gang have put out a few episodes this month that are worth a listen – April 1 & April 14 episodes. Speaking of Necronomicon, I shall indeed be there (baring asteroid impact or ailing homunculus). Hopefully they’ll have a schedule available before too long so that I might plan my adventures efficiently. Anyone else going? London teasers, gravestone news, etc. A few odds and ends have been piling up here at Tomes in Progress central- lets clear out the inbox, shall we? The London Boxed Set cover? 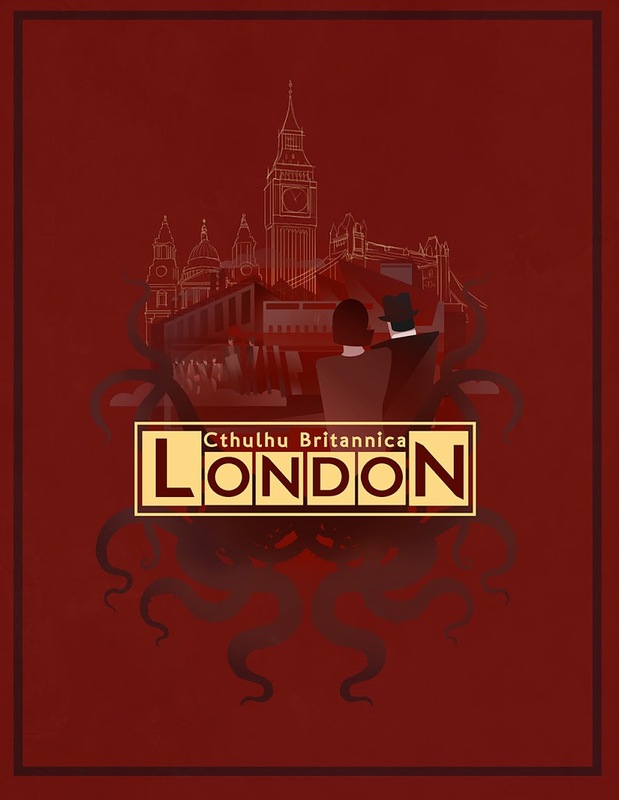 Stuart Boon at Cubicle 7 has been dropping ‘hints’ of a less-than-subtle nature that a kickstarter for the long-awaited London Boxed set is close at hand. This is a mockup of the cover. Awesome. Time to start setting aside a few pence so I can afford whatever deluxe edition they offer. A pre-bloodied tube map? A pass for the reading room at the British Museum? A genuine brass hackney medal? The mind boggles and the wallet cowers in fear. I’ve done a little research regarding the subject of the gravestone photo I posted recently. 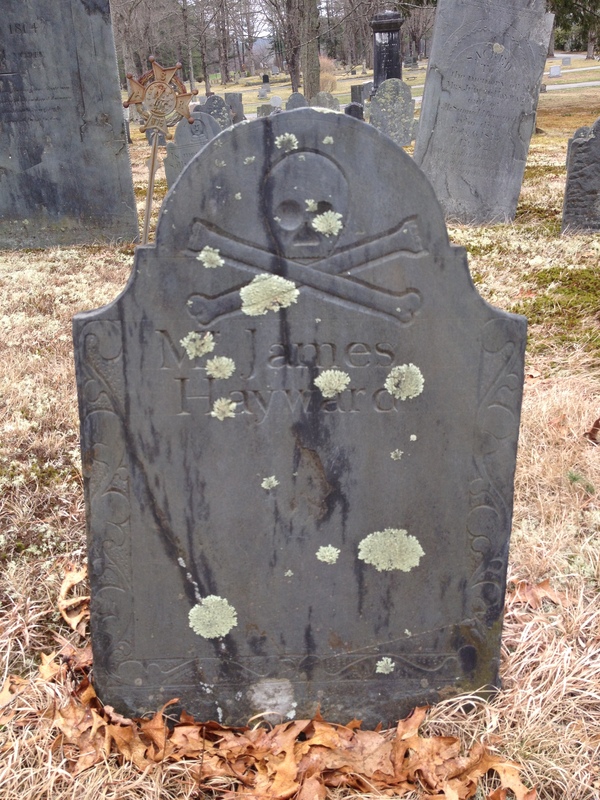 I can’t wholly confirm it, but it seems likely that it was the footstone for one James Hayward, killed in a duel just after the Battle of Concord on April 19, 1775. Oh, that little dust-up… His remains were moved to Acton center and buried at the monument there. Nifty. I’ve also updated my RPG CV, updated the list of 2013 Lovecraftian RPGs, and added some entries to the Yog Wiki about privately published CoC books. Next time, I hope to have more to say about my playthrough of Horror on the Orient Express.